Because of our unique approach, Niu Health for a New You! at Niu Health Chiropractic is mainly a referral-based practice focused on your true healing needs. If you've benefited from Dr. Christine's healing hands, share this e-newsletter with your friends and family and spread the love! Know a loved one that wants to get on top of their health in the new year? Set them up for a powerful start with a "Niu Health for a New You" GIFT CARD! Choose a New Patient Visit or Basic Deep System Reset for current patients! Or register them for the upcoming Reiki workshop they've been meaning to take! Check out our new Square Shop for Gift Card pick up, 1st class mailing, or in-office redemption. Now Accepting HMSA PPO (and HMO with referral) and HMAA! Although insurance does not cover a number of the modalities I use during a session, like nutrition, energy work, lifestyle counseling and emotional clearing, some plans will cover the adjustment and a few other components. Check with your carrier to see if they cover chiropractic. I will still be charging a co-pay to cover the time and modalities that are not covered by insurance, but at least you can get some reimbursement from your provider. Please bear with me as I learn the ins and outs of insurance billing, but I hope this helps you to get a Deep System Reset more often than you would otherwise! The body needs a continuous supply of 50 or more nutrients - none of which it can make for itself. Deficiency in any one of these nutrients affects the overall function of the body. Nutrients are raw materials of the body. Chronic deficiency undermines health and promotes degenerative disease. 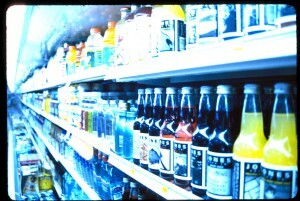 Indulging in a few too many sodas, juices or other sweet treats, even too much fruit, depletes the body’s mineral reserves in order to process this sugar. Grains, which are a quick, easy source of nutrition and short term energy, actually reduce the absorption of calcium, magnesium, iron and zinc, resulting in acidic stress, causing inflammation. Some people may have an unknown sensitivity to wheat, which, over time, may harm their digestive tract, negatively affecting the absorption of nutrients into the body. The latest study has found yet another component in wheat besides gluten, called amylase-trypsin inhibitors, which may cause the development of inflammation in tissues beyond the gut, including the lymph nodes, kidneys, spleen and brain, and can worsen symptoms of pre-existing inflammatory illnesses, such as rheumatoid arthritis, multiple sclerosis, asthma, lupus, non-alcoholic fatty liver disease, and inflammatory bowel disease. An anti-inflammatory diet which omits wheat can lessen your body burden and move you in a direction of increased vitality and strengthened immunity. The gastrointestinal (GI) tract has an enormous influence over both the immune system and the brain. More and more studies are coming out on the links between the gut and brain health. 90% of serotonin (a neurotransmitter implicated in mood and emotions) is produced in the intestines. Ideally, the lining of the small intestine is nearly leak proof and only fully digested food molecules are permitted to pass through this lining into the bloodstream and lymph vessels. But this leak proof lining is only one cell layer thick! Severe emotional stress, antibiotic and anti-inflammatory drug use, alcohol abuse, GI tract dysbiosis, junk foods, excessive consumption of sugary foods and food allergies can disrupt this lining, causing a condition known as “leaky gut syndrome.” When enough of these intestinal cells are damaged, molecular debris (undigested and partially digested protein, carbohydrates and fat, as well as fragments from microorganisms) break through to pollute the blood and lymph of the intestinal tract. Some get transported to the liver; others end up circulating through the body. All of this puts a great strain on the immune system, the liver and virtually every other organ and system of the body. Feeling sick and tired? At the root may be deficiency and toxicity. As patients resolve to remove foods that stress their bodies, such as sugar and gluten, and increase nutrient dense foods, or if the body decides it can no longer tolerate toxicity and it now has enough nutrients and energy to mount a response, you may find your immune system shifting into high gear, creating a “healing crisis,” in the form of inflammation like fever, pain, redness, swelling, a cold, sore throat or rash. Inflammation helps to breakdown old cells and tissues, and our immune system digests these toxic wastes and debris, expelling mucus to release it from the body. These “expressions of health” are meant to detoxify and heal us. This is the time to rest, take in nutritious vegetable soups, bone broths, teas, and to cut the sugar and dairy, which suppresses the immune system and kicks up even more mucus. Most people are actually healthier after they’ve had a fever. We then have a choice: do we continue our habits that no longer serve us, or do we decrease our exposure to toxins and increase our ingestion of healing, nutrient dense foods so that our body has more and more energy to rebuild us into stronger, more resilient versions of ourselves? I took a leap, and came through it a new me! I made it through Purium's 10-day Transformation. This was the first intentional cleanse that I've done. My insides felt clean, my spirit light, my body more expansive and I started fitting into my clothes again! At the end of my first cleanse, I lost 7.4 lbs and 1" around the waist, though it felt like I lost it from everywhere. I myself follow an auto-immune paleo diet, and I was curious to see how this cleanse could take me to another level of healing. I'll have to say, I believe part of my success is also due to the combination of emotional/spiritual work I have been doing these past couple of years, in addition to getting chiropractic and acupuncture regularly, bolstered by my nutrition training and self-discipline. Deep healing is a lot about change and growth in consciousness. This cleanse came at the right time in my life! I haven’t been a fan of fasts because we are already so nutrient depleted. But this cleanse provides you with high quality organic nutrition to heal and detoxify, while reshaping you from the inside out! I found the Power Shake to be tasty enough to take with room temperature water, for those trying to avoid cold foods. The Super 23 Aminos are like magic pills—energizing, muscle supporting and fat burning. The Apothe-Cherry supports sleep and recovery. Along with a few other cleansing nutrients, this is a winning combination! I tailored my cleanse by adding "flex foods" - alternating between small portions of clean protein (wild salmon or organic chicken) one day and cooked organic cruciferous veggies the next, with a sprinkling of pickled cucumber and fermented kimchee throughout. I made it through one or two days without added foods. I curbed hunger with water, or herbal teas like dandelion root tea, fennel or lemon balm. I got some gentle exercise in and my energy stayed up. Sleeping early is super helpful and pleasant with the help of the naturally occurring melatonin-rich tart cherry juice. It's crazy how you wake up another pound lighter. It felt like my brain had to adjust its understanding of how much less space my body was taking up! 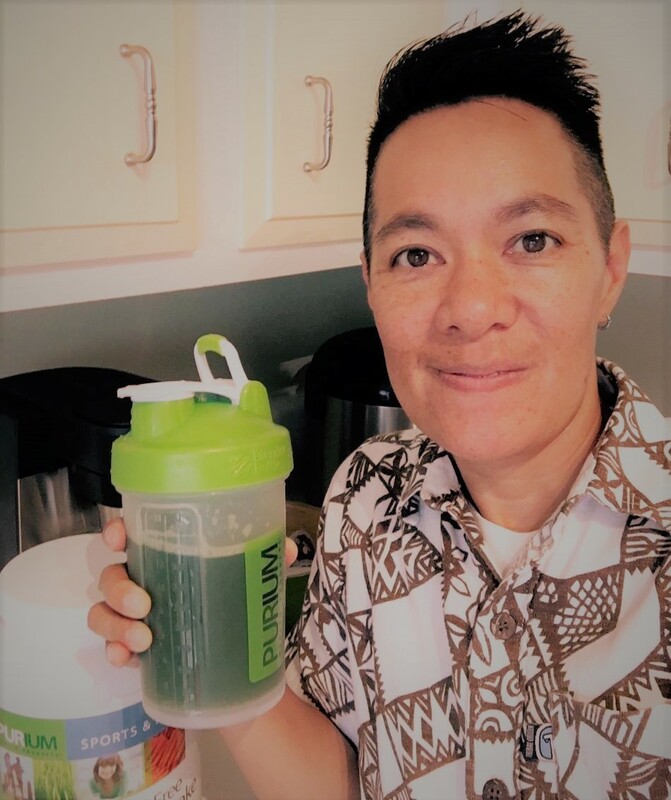 Although I was being nourished with the clean green Purium products, I did feel hungry and had to get used to the feeling. Luckily I am the committed type! The speed of the weight loss and immediate gratification/reinforcement kept me going. Since my first cleanse in October, I've been even better about my food choices and portions. I did a 2nd 8-day Athlete's cleanse post-Thanksgiving, and am now 10 lbs lighter with 2" off my waist by continuing the products once a day (as opposed to 3x a day on a cleanse). I also feel stronger! For me it's been about giving my organs a break so they can do some good healing and repair work. Can you imagine what your body can do without being burdened by sugar, corn syrup, pesticides, GMOs, grains, preservatives, food coloring and bad fats even for a few days? It was definitely easier the 2nd time around! And I have the products handy for when I want to take a one or two day cleanse to reset after indulgent times. With my organs feeling happier and lighter, my emotions are lining up and I feel great about my body and where I'm at in my life. Also, by opening myself up to the potential of this 2nd stream of income (unlike salaried folks, when I'm not in my office, I don't make $$), my ability to attract abundance and joy to my life overall has increased 5-fold! Karuna® Reiki & White Light Reiki Master: July 14, 2018 or as requested. Are you ready to make a commitment to transforming your health and your life? Niu Health for a New You! 3 month, 6 month and 12 month premium programs are perfect for highly motivated people who are ready to go deep into self love and self healing mastery. You and your loved ones will get the same high quality, cutting edge, synergistic combination of chiropractic, energetic, emotional and fascial bodywork, along with nutrition and dietary recommendations. PLUS, there will be extra time to ask questions, review nutrition strategies and learn various tips and tools to augment your self-healing abilities. You also have the option of adding on weekly distance Reiki support to supercharge your healing fields at the physical, mental, emotional and spiritual levels. Please share the word with loved ones who you think are ready and would value and benefit most from my services! 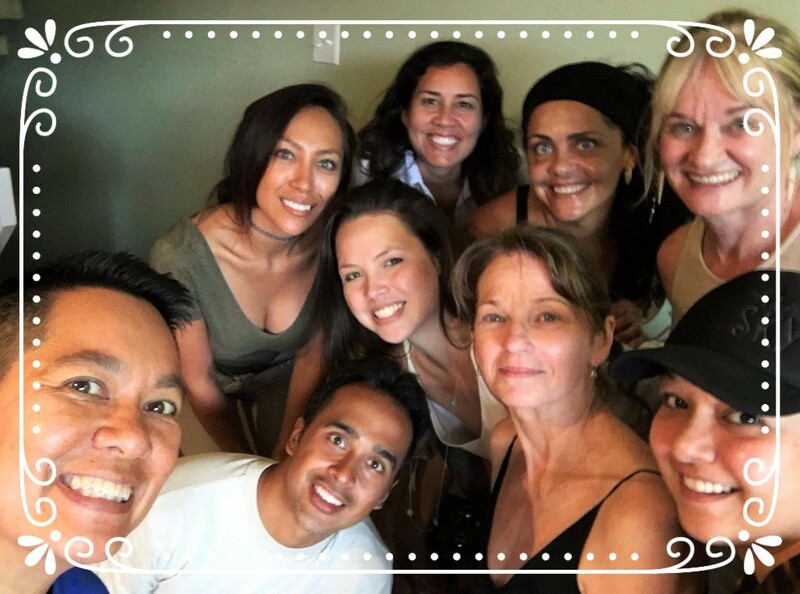 As an incentive, there is a limited time special kama`aina rate of $160, and a risk free money back guarantee for the first Foundations of Health Breakthrough 2-hr visit for new patients. You know just how valuable this visit is! Share it wisely. Dr. Chris posts educational articles on health from around the internet regularly on Facebook. Like our page so you can keep up with the latest news! As with all health promoting approaches, one size does not fit all. Niu Health for a New You! provides personalized recommendations that will help you rebuild your resilience more effectively and efficiently. Rather than resorting to quick fixes or stimulatory medicines to help you feel better, we set a solid foundation for healing to help you FUNCTION better in the long term.